Real Deal Retirement » Blog Archive » Can A Roth Conversion Help You Pass On More Wealth To Your Heirs? Most people think of a Roth conversion as a way to generate tax-free income for their retirement. But a recent Vanguard study shows that converting savings in a traditional IRA or 401(k) to a Roth IRA may also be able to help you leave a bigger legacy to your heirs. The rub: Determining the extent to which your beneficiaries will benefit from a conversion—or for that matter whether they’ll be better off at all—may be trickier than you think. Not necessarily. Whether your beneficiaries will come out ahead by inheriting money in tax-deferred or tax-free accounts depends on a number of factors, including your marginal tax rate when you convert savings to a Roth, your heirs’ marginal tax rate when they withdraw the funds, how you pay the taxes on the conversion and how long the money remains in the Roth. To gauge whether converting assets held in a traditional IRA to a Roth IRA and then bequeathing the Roth can leave a beneficiary with more after-tax dollars, the Vanguard study gives the example of a hypothetical 65-year-old in the 28% income tax bracket with $100,000 in a traditional IRA and $28,000 in a taxable account who would like to leave a legacy to a 40-year-old non-spouse beneficiary who is also in the 28% bracket. One option is for the 65-year-old to convert the traditional IRA to a Roth IRA and use the $28,000 from the taxable account to pay the income tax due from the conversion, thus bequeathing the beneficiary $100,000 of tax-free funds in a Roth IRA. Another is to skip the conversion and simply bequeath the beneficiary the $100,000 in the traditional IRA and the $28,000 in the taxable account. The assumption is that in both options all the money is invested in a 50-50 mix of stocks and bonds that earns 6% a year and that all gains are reinvested. Vanguard then calculates how much money the beneficiary would inherit after income taxes under the two options described above, assuming the account owner dies 20 years later at age 85, at which point the beneficiary would be 60 years old. So by doing the conversion, the account owner would leave the beneficiary with about $17,000 extra after taxes, or about 5% more had the beneficiary inherited the traditional IRA and taxable account and paid any income taxes due on both accounts. In short, if the goal is to leave the beneficiary with more money, doing the conversion would appear to be the smarter move. So, for example, if you take the same scenario described above but assume the beneficiary is in a lower tax bracket—say, 15% for the beneficiary vs. 28% for the account owner—the traditional IRA plus taxable account comes out slightly ahead of the Roth, albeit the margin is small, about 1%, or $344,000 vs. $340,000. The difference in favor of the traditional IRA plus taxable account grows, however, if the beneficiary is in much lower tax rate than the account owner. If you assume, for example, that the account owner faces a 35% marginal tax rate while the beneficiary pays tax at a 15% rate, then the traditional IRA plus taxable account beats the Roth by a somewhat wider margin of almost 3%, or $349,000 vs. $340,000. These examples show that tax rates are a major consideration when deciding whether to convert. Generally, converting to a Roth (or contributing to a Roth IRA or 401(k) rather than a traditional IRA or 401(k) in the first place) makes more sense if your marginal tax rate is lower when you put money into the Roth than it is when you withdraw it (or in this case, when your beneficiary withdraws it). In effect, you’re arbitraging tax rates to your benefit, paying the tax for the conversion (or Roth contribution) when your rate is lower and avoiding what would be a tax hit at a higher rate when you withdraw the funds later on. The second factor is that, starting at age 70 1/2, owners of traditional IRA accounts must begin making required minimum draws (RMDs) and paying taxes on the portion of those withdrawals that have yet to be taxed. 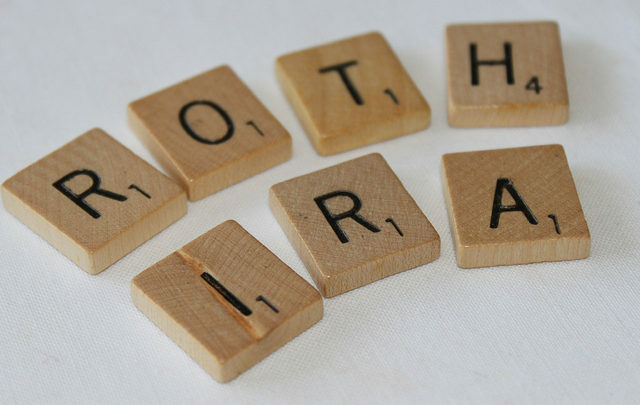 Roth IRAs, by contrast, are not subject to required withdrawals until the non-spouse beneficiary inherits the account. That means that money can compound longer without the drag of taxes in the Roth IRA than in the traditional IRA. These two factors definitely work in the Roth’s favor. 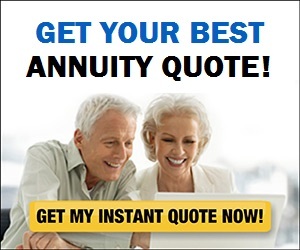 But whether they can have a large enough impact to make a Roth conversion the better option in cases where the beneficiary is in a lower tax bracket depends on how long it is before before the beneficiary inherits the accounts and withdraws the funds and how much lower the beneficiary’s tax rate is than the rate at which the account owner did the conversion. If the drop in tax rates from the account owner to the beneficiary isn’t as steep, however, then the dual advantages of no RMDs and paying the tax from funds outside the IRA are more easily able to turn things in the conversion’s favor. For example, if the account owner is in the 35% tax bracket and the beneficiary is in the 28% bracket—a difference of just seven percentage points vs. the 13 percentage points of dropping from a 28% to 15% tax rate—those two advantages are enough to put the conversion ahead of the traditional IRA plus taxable account by nearly 4% after 20 years, $340,000 vs. $328,000. All of which is to say that converting to a Roth isn’t automatically a slam-dunk winner. The marginal tax rate you pay when you convert; whether the taxable income generated by the conversion itself pushes you into a higher tax bracket; the tax rate your beneficiary faces; how long the funds remain in the Roth before your beneficiary inherits the account and how quickly the beneficiary withdraws the funds; whether converting might reduce any estate taxes due upon your death—all of these variables, many of which can be hard to predict in advance, can affect whether converting is the better option. So if you have retirement funds you’d like to pass along to heirs but aren’t sure whether to do so in a traditional IRA or convert the funds to a Roth, run the numbers before making your decision, especially if you believe there’s a chance your beneficiary may be in a lower tax bracket than you when you convert. And while you’re at it, consider whether you might need to dip into those assets for your own needs during retirement, in which case the tax rate you pay when the money is withdrawn (as opposed to your beneficiary’s tax rate) also matters.